To Reserve a Daily Parking Space, Please Read and Agree to the Terms & Conditions and fill out the form below. RENTAL RATE: The Daily rental will be due and payable prior to parking. All checks should be made payable to storemytruck.com, (Lessor), and all other forms of payment are due prior to parking. Overages must be paid prior to departure to avoid shortages. All of our lots have different daily rates and policies. The Daily rate for our lots range from $5 to $29 for a 24 hour period. LIABILITY: All liability insurance must be current and a copy of the insurance card or policy, driver’s license, credit card and the Credit Card form must accompany this daily agreement. LOSS RESPONSIBILITY: The Lessee of the above parking space shall be liable for any damages or theft of property from parking during the term and lessee is responsible for said parking garage/space. Lessee assumes all of the risks from parking on the property. All losses of any kind, theft Vandalism, damages, Acts of terrorism, Acts of Nature, Weather, Floods, or any issue is the sole responsibility of the lessee. Lessee is parking his vehicle at his own risk. INSURANCE VERIFIED: The vehicle(s) to be parked in said parking space shall have current registration and insurance, as verified by Lessor. MAINTENANCE ON PROPERTY: No repairs of any kind are allowed on any of our property, as of 02-15-18. No tire repairs, replacements, no minor repairs such as oil changes, minor or major repairs at any time are permitted. Any person or maintenance company doing work on a vehicle on our property will be asked to leave immediately with all of your vehicles. For maintenance, we suggest you call Advanced Maintenance for repair work. 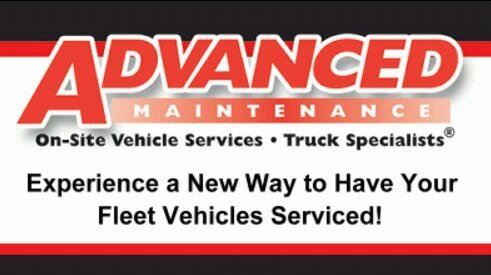 Advanced Maintenance is the only vehicle repair company that we allow on any of our properties. Advanced Maintenance's direct number is (888) 452-9206. OWNER’S RESPONSIBILITY: The vehicle owner is responsible for any damage to the building, property, fencing, gates, or concrete pavement. Driver/lessee must use caution when driving and parking and must use parking brakes when parked. ​RESTRICTED VEHICLES & LOADS: Drivers are not allowed to carry hazardous material, medical waste, radioactive products, petroleum-based products, paints, tires or any type of environmental waste onto any of our properties. Driver will be held responsible for any leakage of these products. We don’t allow dump trucks, petroleum haulers, waste haulers, manure haulers, oil haulers, medical waste haulers, or any hazardous material trucks at any of our properties. GATE CODES: Weekly Gate codes must not be shared and all gates must be locked every time and at all times when driver/lessee enters and exits the gates. This document must be signed and emailed to storemytruck@gmail.com or faxed to 678-653-7482 and verified that it has been received. Transmission errors or unreceived faxes are the responsibility of the lessee. Lessee must verify that all faxes and documents have been received. ​VEHICLE PHOTOS: A photo of your your truck/trailer or stored vehicle must be uploaded when filling out the monthly parking agreement to go into your file. PARKING PERMIT: All vehicles must be backed in so we can see the front of your parked vehicle and NUMBERED parking sticker/hanger! Please print a copy of your parking payment receipt and place it on the dash of your vehicle. You must place parking receipt on your vehicles dash quickly to avoid being towed! We check and audit each lot every day and all unauthorized vehicles will be towed immediately. ALL HANGERS MUST BE RETURNED AT CONTRACT CANCELLATION in order to get your deposit returned! HOLD-HARMLESS: Lessee shall defend, indemnify, and hold harmless the Lessor its officers, officials, affiliates, officers, employees and volunteers from and against any and all claims, suits, actions, or liabilities for injury or death of any person, or for loss or damage to property, which arises out of Lessee’s use of premises, or from the conduct of Lessee’s business, actions, vehicles, or from any activity, work or thing done, permitted, or suffered by any other party. AGREEMENT EFFECTIVE DATES: Agreement shall remain in effect from agreement submit date until either Lessee leaves from the above property and Lessor has received payment in full for his daily parking on the premises. DEFAULT: Once the parked vehicle is in Default Status for Non-Payment, the vehicle will be towed from its existing parking space and location, to another lot and held in impound while court orders are being filed. All expenses of towing, court orders, and any costs will be the sole responsibility of the lessee until the court order has been signed. Once the court order is signed by a judge, the vehicle is no longer owned by the lessee. VEHICLE KEY: The key to the daily parked vehicle must be held by our attendant. LOCKING THE GATE: All persons using our facility MUST LOCK THE GATES every time you enter and every time you exit from the gates. Any person that leaves the gates open at any time will be asked to leave immediately and no refund will occur. So, even if there is someone inside our gate, you must lock them in. All persons inside the gate can let themselves out if the gate is locked behind them. PROTECT YOUR TRUCK AND YOUR POSSESSIONS ALWAYS BY LOCKING THE GATE...EVERYTIME! NOTICE OF HOW TO BETTER PROTECT YOUR PROPERTY: We are not responsible for watching your equipment, vehicle or personal property. We provide a parking space with fencing and lights. It is up to you to protect and secure your vehicle and belongings. You can protect your vehicle(s) and property using a kingpin device to secure your trailer. Also, wheel locks, steering wheel locks are also suggested where applicable in securing your vehicle or possessions. We also strongly suggest that you always have a GPS tracking or locating device installed on your vehicle or trailer at all times while storing or parking your vehicle or trailer. If you have loaded trailers, you are at risk for theft and we strongly suggest that you leave your loaded trailer in one of our manned, secured lots. Ask us where our secured personnel secured LOTS are located, so we can better assist you. Our Metro Atlanta Big Truck Parking and Storage lots are convenient, affordable and provide you with the amenities you need when storing your vehicle. We have new locations opening regularly so make sure to check back with us! Read More!